Despite not being widely known Acupuncture for Children is becoming a more widely used treatment for headaches, stomach problems, joint pain, depression and other frequent health issues. Children are often apprehensive to have acupuncture as a treatment because of the stereotype of large needles being used but in reality the needles are extremely fine and often you cannot feel them at all. There has been a recent study carried out by an anaesthesiologist Yuan-Chu Lin, M.D. to explore the effects of acupuncture for children. The study involved 243 children between the ages of 6 months and 18 years old. All of the children in the study had sought acupuncture therapy for headaches, stomach pain, back pain and a variety of other chronic illnesses and complaints that had caused them to be absent from school. On average in the study, the children rated the pain they experienced as an eight out of ten with ten being the worst pain they could imagine. The study was a year long and it found that on average the children who received acupuncture therapy reported having less pain than before their treatment, rating their pain with a three out of ten. They also reported that they had an increase in school attendance, improvement in sleep and were more willing to participate in extracurricular activities. Another earlier study involved 47 children with 15 participants being 12 years old or under and 32 participants being aged between 13 and 20 years old. 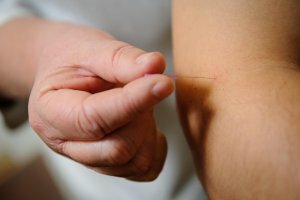 The study showed evidence that at least 70 percent of the children treated with acupuncture benefited from pain relief, with the majority of parents agreeing with this. The conditions for which the children were treated for vary but consisted mainly of migraines, RSD and endometriosis in young females. A more recent study has also provided research to suggest that acupuncture may be beneficial for children suffering with a lazy eye, also known as amblyopia. The study consisted of 88 children who were between the ages of 7 and 13. all of the children who had to wear corrective lenses because of amblyopia proved to have success with 42 percent of the children who received acupuncture reporting that there was an improvement in their lazy eye within 3 months. Many parents often worry about giving their children medication prescribed either by their doctor or over the counter because of the uncertain effects it can have. However, with acupuncture serving to help children with countless ailments it is becoming a more widely used, safer alternative to pharmaceuticals. For over a year I had been really struggling with anxiety symptoms that were having an impact on my day to day life. I was feeling really drained and fatigued, having light headed dizzy spells, racing thoughts in the mornings, heart palpitations and sometimes panic attacks. I had been to the doctors several times, tried a lot of lifestyle changes, had hypnotherapy, had holidays but nothing was controlling the symptoms. Then I did some further research and heard about acupuncture, so I decided to give it a try and immediately I felt calmer and more relaxed than I had for a long time just after the first session. I have had about 4 or 5 sessions now and I feel virtually back to normal, I have less fatigue feel a lot more relaxed and calm I don’t have light headed dizzy spells at all anymore. I would highly recommend acupuncture to anyone who is suffering with anxiety, it’s been by far the most effective treatment I have had. Also Cath who has been treating me has been very good, I would highly recommend her to anyone. HOT FLUSHES!! – having gone down the usual route for menopausal hot flushes I tried Red Clover which worked for a while but eventually had to give in and see my GP to ask to go on to HRT. This works but obviously there is a time limit that the medical profession like you to adhere to and I came off the HRT in the spring of this year, 2015. I did this with trepidation as the hot flushes were ruining my life with being constant in the day and then having the night sweats. This meant that I was getting very little sleep, meaning that I could not function properly at work during the day. I did not want to return to this state of affairs and had heard that acupuncture could be used with excellent results. My hot flushes returned, along with the night sweats, a few weeks after coming off the HRT. I went along to see Catherine. After just 2 sessions my symptoms were virtually non-existent. I was still getting some hot flushes – approximately 1 per week along with a few nights sweats. I thought maybe this was as good as it got – this was very good in my eyes – but Cath said we could persevere to get a better outcome. A few more sessions and she seemed to find the right combination of pressure points that controlled my flushes and brought them down to NIL. This is a fabulous outcome and I cannot thank her enough. Hot flushes are very debilitating and affect your daily life. Life without them is fabulous. I cannot recommend acupuncture and Cath highly enough – thank you. Through clinical trials over the past few years it has been proven that acupuncture can aid in the accelerated healing of sports injuries. 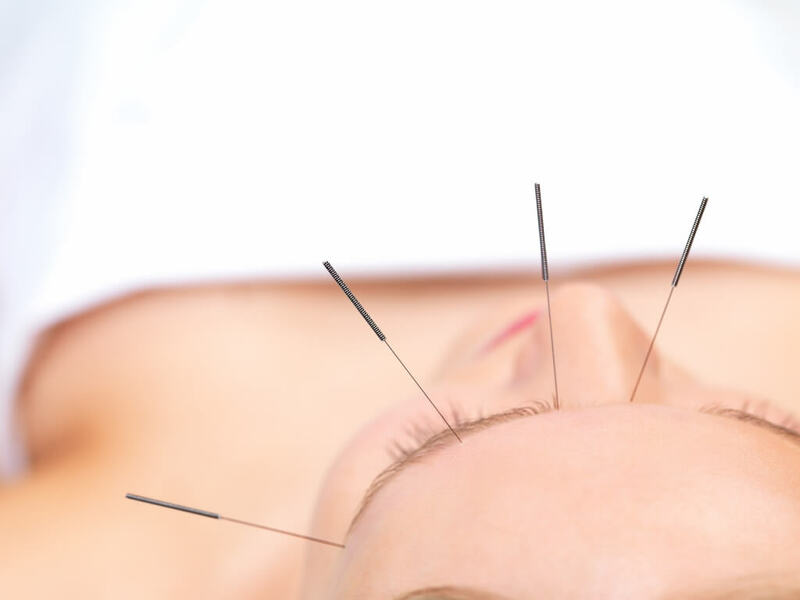 Using a combination of Eastern and Western acupuncture it has been proven to be one the best courses of treatment as it can fully restore both chronic and acute injuries. There have been a variety of studies which have provided evidence of how acupuncture has a measurable effect on the increased blood flow to certain areas of the body, aiding athletes in improved performance. One specific study in Beijing involved a number of athletes running 5000 metres and then receiving acupuncture treatments before they had time to catch their breath. The results showed that the heart rates of those who received acupuncture recovered much quicker than those in the no treatment control group. Another study from the Clinical Journal of Sports Medicine a few years ago examined the effect that acupuncture treatment would have on cyclists. A control group of twenty athletes between the ages of 18 and 30 were monitored though three tests each week. They were divided into three groups of acupuncture, sham acupuncture and no acupuncture and then asked to ride a stationary bike for 20km as fast as they could. The study showed that the group who received real acupuncture had higher Rated Perceived Exertion (RPE) scores and completed their test at a higher acceleration when compared with the other groups. A final study which went on to be published in the American Journal of Acupuncture looked at the effect acupuncture had on work capacity, focusing on anaerobic thresholds. The results showed that those in the acupuncture group were able to perform higher workloads and had lower heart rates throughout the trials when compared to the placebo groups. These studies are just a small number of the research trials that have been carried out to support acupuncture as a treatment for sports injuries. As a result, Acupuncture is becoming an increasingly used form of treatment for both chronic and acute injuries and is used by over 15,000 practitioners on the NHS. For more information about how we can use acupuncture to help sports injuries, call us free on 0800 051 76 88. Being a needle phobic, I wasn’t sure what help this would be to me. Catherine has been fantastic, my breathing was wheezy when I started and lots of fatigue. After a few sessions my breathing was back to normal (the doctor couldn’t get things working properly) so this was huge, I started to sleep properly, energy levels raised and feeling brighter all round. I suggest anyone gives it a go, Catherine is fantastic!